For olive oil fans, there are few things prettier than an olive tree in full blossom, but we’ve finally found one that does justice to the final product. 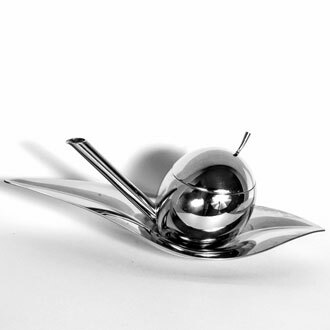 Our stunning, new Olive Oil Taster/Server is hand crafted in polished stainless steel and holds 25ml of your very best extra virgin olive oil for tasting and using in any meal. It’s perfect for olive oil aficionados or as a special gift for that person in your life who enjoys beauty and health, like Mom. Making extra virgin olive oil a part of your daily diet takes care of the inside, but what’s the best way to use the benefits of olive oil on the outside? Treat your skin to The Olive Oil Source's new Massage Balm. 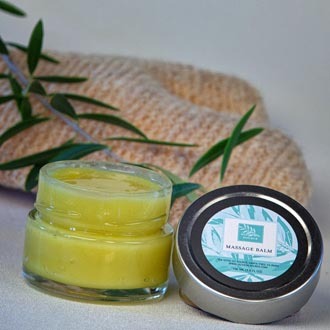 It is made from olive oil produced at our mill at our farm and blended with essential lavender oil to give it a soothing scent and a wonderful feel. The Massage Balm is rich enough to use for a full body massage, but silky enough for a luxuriant daily skin moisturizer. Whether it’s one of The Olive Oil Source Boutique's beautifully-created baskets of goodies or a special Mother's Day extra virgin olive oil and vinegar combination that you get to select to suit her favorite flavors, a gift of health from the inside out will always show Mom how much you care.